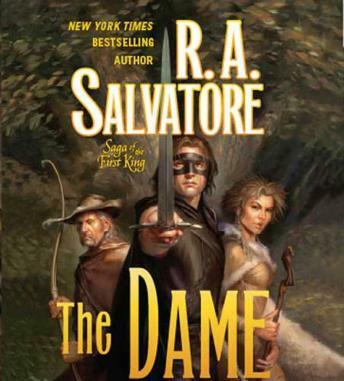 In R. A. Salvatore's The Dame, Bransen's road becomes a quest for the truth, of Honce and of himself, a quest to put right over wrong. That path is fraught with confusion and fraud, and a purposeful blurring of morality by those who would seek to use the Highwayman's extraordinary battle skills and popularity among the commonfolk for their own nefarious ends. I love the book so much and the narrator is great as well but it skips at about ten different places in the book which is really annoying. Contacting audiobooks now: hopefully they fix it for the next listeners.